A n edible education places the child at the center of their learning and uses food to engage all aspects of their education. You can access our full curriculum of 62 lessons below – along with our pedagogy, philosophy, practices, and approach to curriculum development. We hope they prove to be helpful tools as you work to bring your own vision – whatever that may be – to life in your community. Our curriculum – the content of our lessons and how we teach them – is where our theory of edible education comes to life. It is built around the understanding that all learning is integrated. The skills that students learn while cooking support their academic learning, while an "aha" moment in the traditional classroom inspires their work in the garden. All our of lessons and program materials are shared freely under a Creative Commons license. HERE IS EVERYTHING! This book compiles the Edible Schoolyard Berkeley's lessons, our full pedagogy, and the program's foundational practices. It documents the cumulative work of our teaching staff as well as their ongoing process for developing curriculum. Equity is both a means and an end in edible education. Our approach holds the possibility to address a number of student needs that are not met or reflected in traditional curriculum or pedagogical practice. This is particularly important for engaging students who face barriers to thriving in a traditional classroom setting. Edible education connects the experience of school to the real, lived experiences of our students. We believe that a student’s experience is critically important to their ability to learn. When students feel safe, happy, seen, respected, and excited about their work, they engage and learn much more fully. As we plan lessons, articulating how we want students to feel in the space is as important as defining our learning objectives or developing lesson content. This does not mean that discomfort has no place in our classrooms. We believe that taking risks is a vital part of development – making mistakes and having the opportunity to get hurt in small ways are the foundation of keeping us safe later in life. But at every step of the way, our approach aims to make sure that everyone involved – teachers, students, and volunteers alike – get the most out of their time together through building a strong classroom culture based on collaboration, mutual respect, and equity. These practices are the most important strategies we have identified for translating our theory of edible education into a living experience for our students. 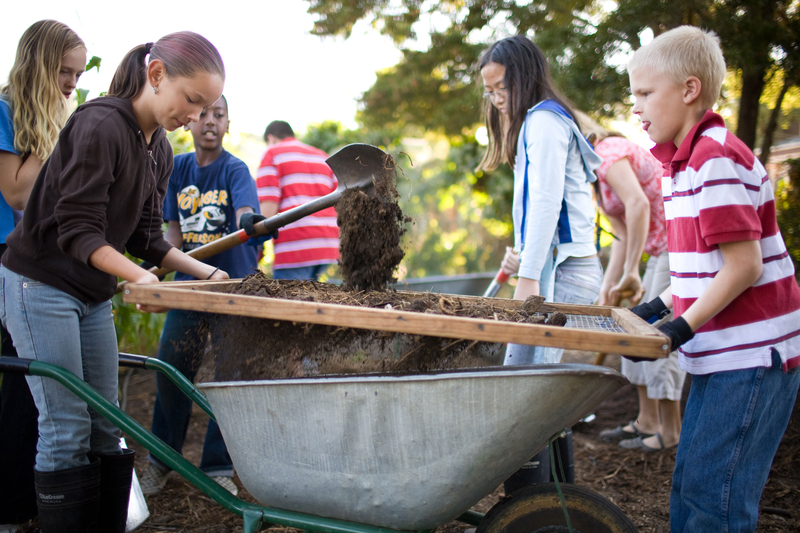 They are foundational to every student experience at the Edible Schoolyard Berkeley. Building a strong classroom culture is the base for all our practices. It begins with identifying how we want our students to feel while they are in our classrooms. From there, we engage specific practices to meet those goals. My presence and contributions matter and are appreciated. I have ownership of my body and voice. I know how I can be successful in this space; the people here want me to succeed and will support me in doing so. I feel welcomed, cared for, and respected. I am acknowledged, I am seen, and I belong here. My voice and opinion matter and are respected. The space, people, and structures are fair to me. I have the ability to grow and develop my skills, knowledge, and abilities through effort and practice. It is okay not to know. When I encounter a problem, don’t know something, or feel unsure, I know how to get the support I need to figure it out. Even after 20 years, we are always in a process of reimagining, updating, and creating anew our curriculum. Ongoing engagement with our lessons helps us to stay energized and excited about what we teach, and that our students similarly feel that their classroom experiences are relevant and important. Also critically important, continuing to revise our curriculum engages us in an iterative dialogue with our central goal of cultivating equity in our classrooms and communities. Explore our edible education framework and standards!